Essential Oil of Jasmine is Extensively Used in Natural Skin Care Products to Soothe Dry, Sensitive and Irritated Skin. Jasmine, a plant with universal appeal and a long history of use as a cosmetic, medicine, perfume and incense by many different cultures around the world, is known in the East as the “King of Aromatics”. It is a member of a small family known as the Jasminaceae and the essential oil is extracted from the newly opened flowers by three principal methods - solvent extraction, enfleurage and CO2 extraction. The oil is a deep, mahogany brown with a sweet exotic bouquet. Although Jasmine can be used on any skin type it is particularly good for hot, dry sensitive skins especially where there is redness and itching. Jasmine is soothing and calming to the skin and is a valuable addition to any skin care cream. The only drawback to extensive use of Jasmine is it’s cost which equals that of Rose Oil at several thousand dollars per kilogram! Jasmine has a long history of use as a chief remedy for male and female reproductive conditions, is said to help prevent Post Natal Depression and infertility and is ranked among the ‘aphrodisiac’ herbs. It has a calming and sedative effect on the nervous system and is especially beneficial in conditions caused by psychological stress and imbalance. 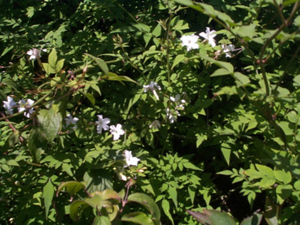 The action of Jasmine is warming, opening, and relieving of spasm. It is indicated where ther is cold, listlessness, spasm, depression, catarrh or other discharge. Jasmine is, like all absolutes, a fairly powerful oil. There is no danger of toxicity, but if it is over-used it will cease to be of benefit and may result in an increase of catarrh. When added to a Massage or Bath Oil Blend Jasmine is very useful as an anti-depressant giving optimism and confidence, producing a feeling of euphoria and helps overcome apathy and listlessness. Jasmine has been added to Wildcrafted Luxurious Massage Oil Blend. 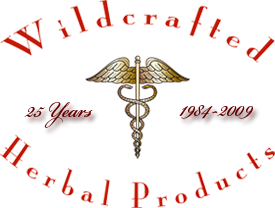 Contraindications and Cautions: Use in dilution on the skin to avoid sensitivity reactions.